Although originally designed for the a Piper J-3 Cub, hence the color. This mount can be used on any aircraft including the EMG-6. The radio mount is designed with a split clamp system which allows the installation and positioning on to a 7/8″ diameter tube. 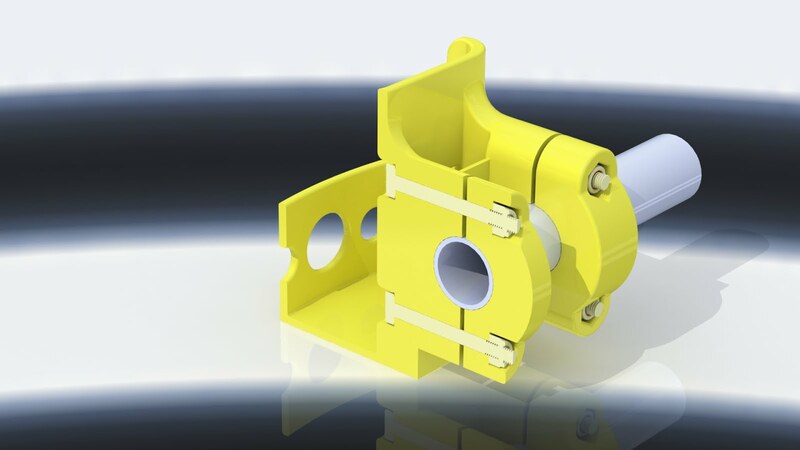 We can design other size clamps that are interchangeable with different sized tubing if anyone has a specific request. The mounting system requires (4) (3/16″ Dia) Cap Head Screws. (4) (3/16″) Washers under the head of the cap screw. 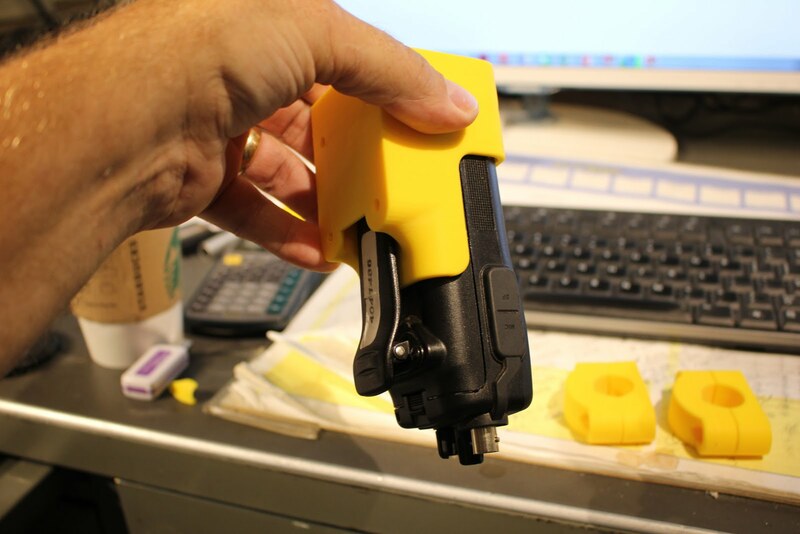 additionally there is a hex cut out in the clamp that will automatically hold a 3/16″ nylon nut. (4) required. 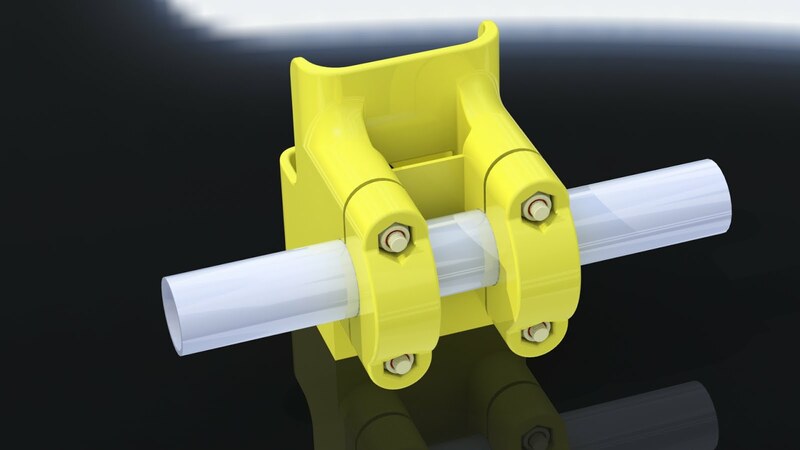 Mount can be mounted either horizontal or vertical relationship to the tube. 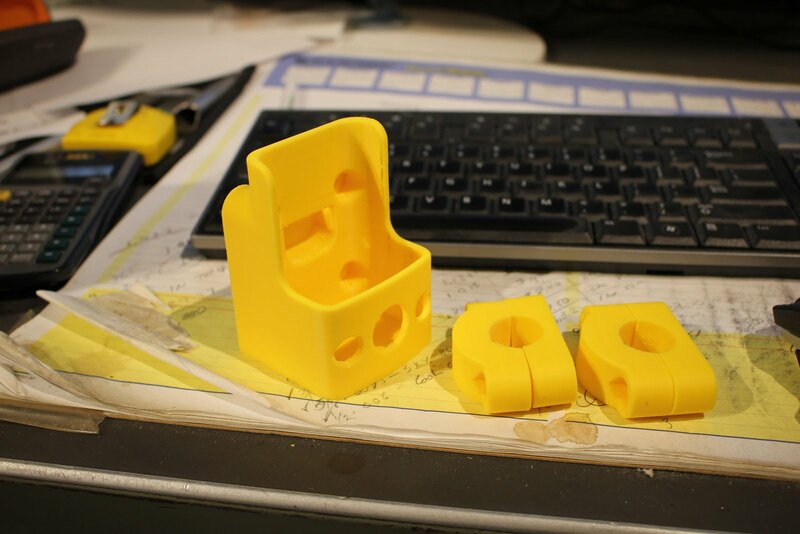 You can download the STL files if you wish to print your own radio mount. 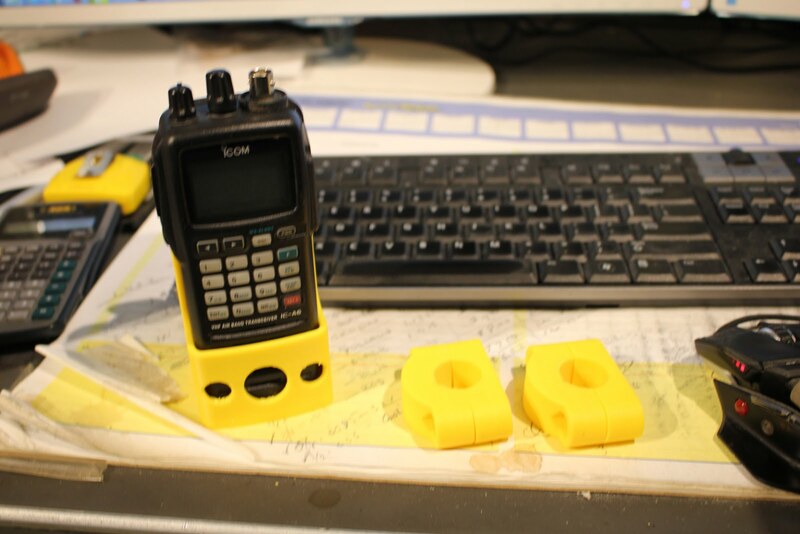 the files are located under 02-90-10-10 ICOM Radio Mount in the builders database. Link to 3-D printing STL files. The ICOM radio sitting in the basket. And the 2 mounting clamps. The radio mount is designed so that the clip which holds the radio in place has a slot to engage once fully seated in the basket. This will prevent the radio from falling out even in turbulence, or inverted flight.